Before long, the picture went viral, prompting near universal applause from across the internet. 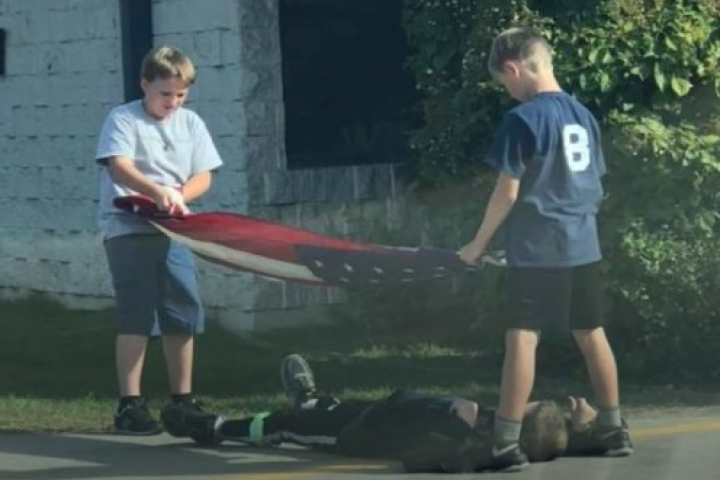 The picture showed three fifth graders struggling to keep the American flag from touching the ground as they retrieved it for the day, with one of the boys literally lying on the ground to prevent it from touching, KREM reports. 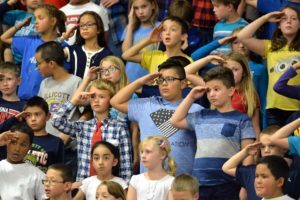 The boys, all Cub Scouts, were selected for the task by school custodian Mac McCarty, a 20-year veteran in the U.S. Air Force who taught them everything they know about flag etiquette. The inspiring photo was shared more than 2,000 times in just the one day following the patriotic act. The students, amazed by the online reaction, said the flag duty is an honor they don’t take lightly. 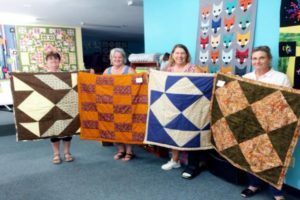 Reallan told KREM she was “overwhelmed with pride” when she came across the boys last month, and she’s glad to see the positive attention it’s focused on the community. The students’ initiative to protect the flag is a timely reminder of the nature of morality. Morality is a vision of moral good shared by a community; the attitudes, aspirations, sensibilities, and dispositions that define its highest aspiration for itself, and how those moral goods find expression in every situation in daily life. McCarty is a prime example of how school employees, as well as educators, have the power to not only positively influence students, but also many others in the community and beyond. The Jubilee Centre for Character and Virtues has a very interesting article, Living Within Reason, that outlines the thinking of Thomas Aquinas on cardinal virtues that lead to a good and just life. Teachers and principals working to strengthen students’ character could ways to incorporate the pursuit of these virtues as part of the daily experience of students.